The fantastic Fleece Cooler Standard Neck from Saxon is a lightweight rug, perfect for cooling or makes a ideal under rug. 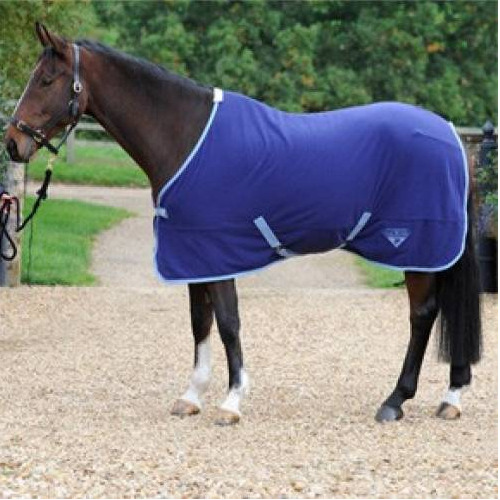 The rug features a anti pill polyester which helps prevent it from bobbling after use, low cross surcingles, tail cord, single chest straps and a fleece wither cuff for comfort. Availabe in various sizes. There are currently no questions for Saxon Fleece Cooler Standard Neck - be the first to ask one!